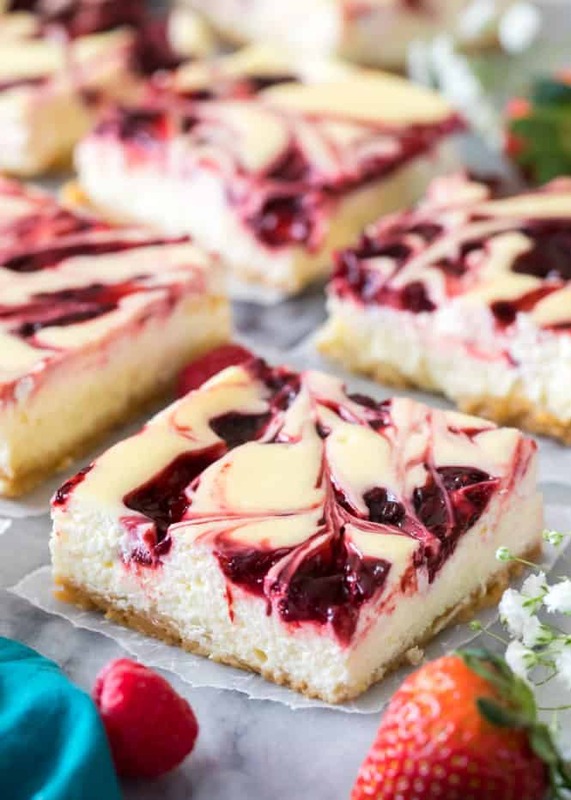 These Berry Swirl Cheesecake Bars are made with a lush, creamy layer of classic cheesecake. 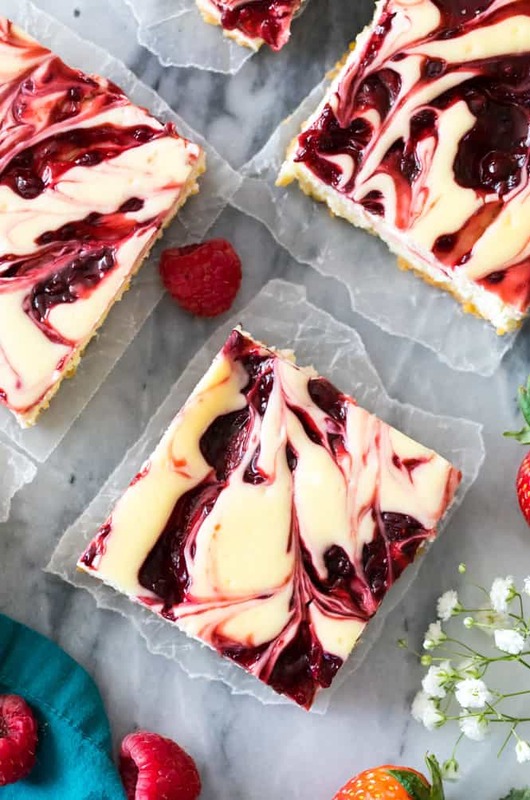 I'm serving today's recipe over a simple golden cookie crust and then topping everything off with vibrant swirls of sweet berries! Preheat oven to 325F (160C) and line a 13x9 baking pan with foil and set aside. 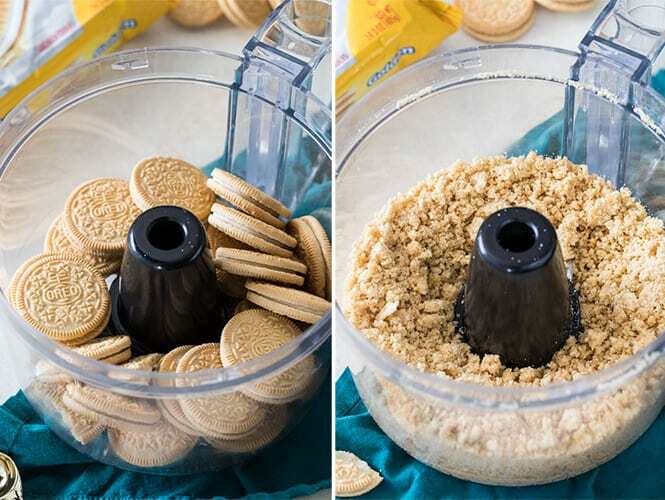 What is the volume or weight of the Oreos? Thanks. 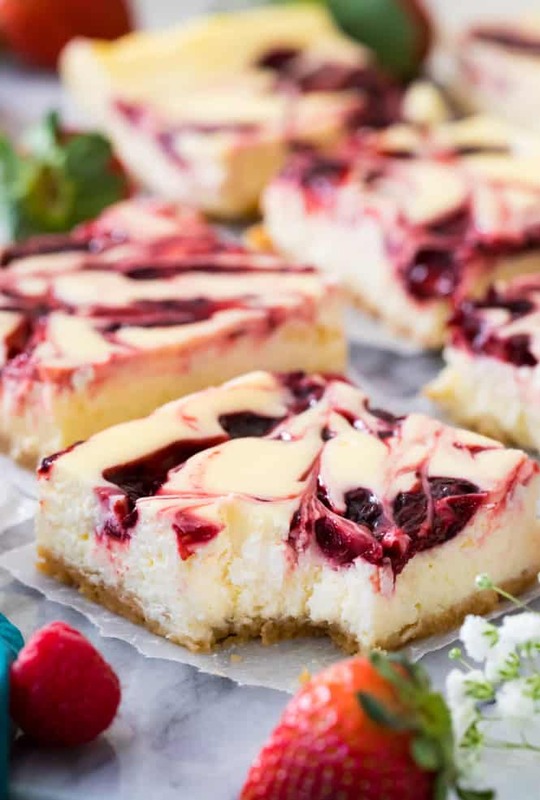 1/2 cup of berry pie filling. Is that amount right….. Yes! Half of a cup berry pie filling.